When you’ve added your items to the cart, it’s time to check out. Click the gold VIEW CART button at the top of any page. When you click VIEW CART, it displays the contents of your shopping cart. Here you can delete products, adjust the quantities, and see all charges, including shipping options. Adjust Product To increase or reduce the quantity off a product, click the (-) or (+) in the quantity column. B. Use a coupon. If you have a coupon or discount code, type the code into the field just below your list of products. Our codes are case sensitive. You may only use one coupon per order. If you have coupons for multiple items, you’ll need to place multiple orders. Click the green APPLY COUPON button. C. Update changes. After making any change to your cart, click the green UPDATE ORDER button. D. Review Cart Totals. Review the prices listed in the Cart Totals box and select your shipping method. When you are satisfied it is correct, click the green PROCEED TO CHECKOUT button. When the Billing Address screen displays, do a quick review to make sure the information is still correct. A. Ship to Billing Address. If your Shipping Address is the same as your Billing Address entered earlier, just check this box. B. Click the SHIPPING ADDRESS button. 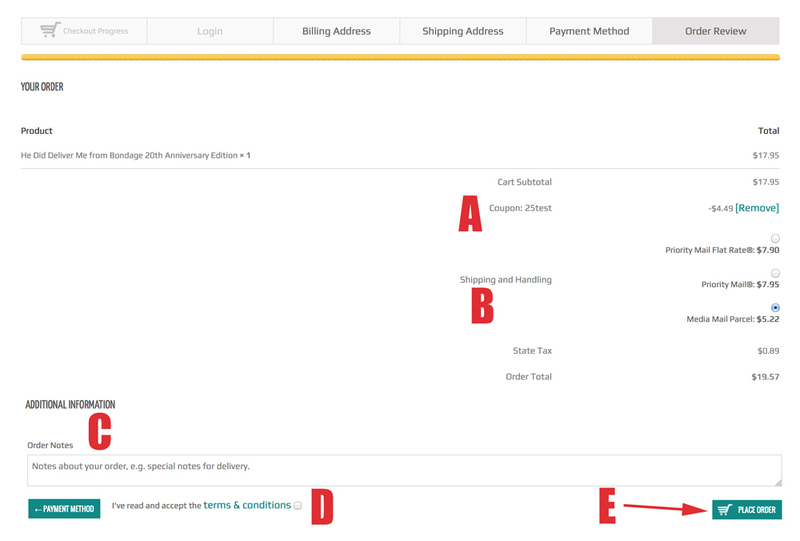 If you checked the box, the Shipping Address will auto-fill the fields and will proceed to display the Payment Method screen. A. Different Shipping Address. If you did not check the box, the Shipping Address screen will display. Enter a shipping address in the same way that you previously entered the Billing Address. B. Click PAYMENT METHOD button. We use PayPal to process our orders, but you don’t need a PayPal account to use it. If you only have free items in your cart, the Payment Method area will be empty. Click the ORDER REVIEW button. Once again your order is displayed. Check your order carefully to make sure everything is correct. A. Coupons. 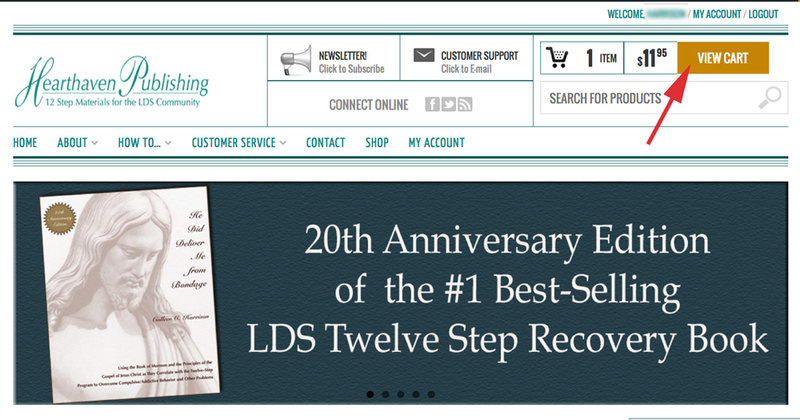 This is where your coupon deduction shows up. B. Shipping Options. Here you will find your shipping options. You may change it, if desired. C. Comments. If you have a special request or a comment, enter it in this field. D. Accept Terms. Check the box that says you accept our terms & conditions. We recommend you actually read them first. You MUST check the box to process the order. E. Place Order. Click the PLACE ORDER button to go to the PayPal screen. A. With PayPal Account. 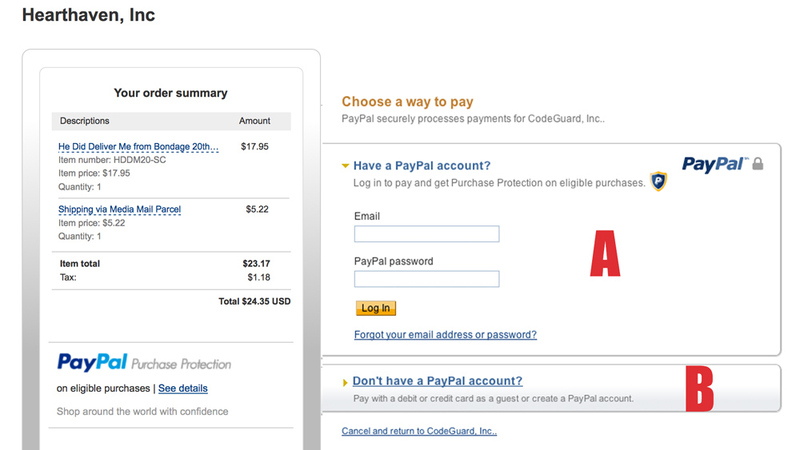 If you have a PayPal account and want to use it, enter your email and PayPal password to log in. B. Without PayPal Account. If you don’t have a PayPal account, click this link and follow the directions to enter your payment method. It takes only a moment for your PayPal payment to process. As soon as it does, your order will be marked complete. A confirmation e-mail will be sent to you. Digital Products: If you have ordered digital products, they will be available for immediate download. Tangible Products:If you have ordered tangible products, they will be shipped within 2 business days.